Queensland University of Technology (QUT) is located in Brisbane, Queensland, and is one of Australia's largest universities.QUT is marketed as "A university for the real world". 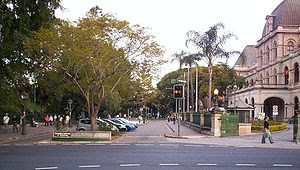 The university is a member of the Australian Technology Network, a network of Australian universities that are strongly focused on technological research.QUT's Gardens Point campus is adjacent to the Brisbane City Botanic Gardens and Queensland Parliament House. The university also has campuses at Kelvin Grove, Carseldine and Caboolture. QUT is a leading Australian university with a colourful history dating back to the beginning of technical and teacher education in Queensland when the Brisbane School of Arts was established in 1849. In 1908 the Central Technical College began offering technical education courses on the site of QUT's present Gardens Point campus, continuing the Central Technical College's tradition of vocation-linked education. In the same decade, training colleges in Queensland began providing career-centred education for the teaching profession. The institutions which evolved from the teacher training colleges combined in 1982 with the North Brisbane College of Advanced Education to become the Brisbane College of Advanced Education. 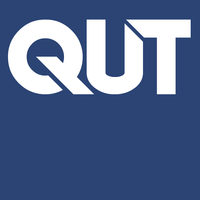 Thus, QUT's emphasis of combining a scholarly ethos with effective professional training builds on its predecessor institutions' long record of providing professional education in Queensland. Some of Queensland and Australia's most important artists trained at the Central Technical College's art department, and the history of the 13 predecessor institutions also includes radicalism, sit-ins, a College principal who built a boxing ring at what is now Kelvin Grove campus and drama productions closed down by community groups. The eventful history of QUT's predecessor institutions is examined through lively accounts and photographs in the book A Class of its Own: A History of Queensland University of Technology. The Central Technical College's courses became the responsibility of the Queensland Institute of Technology (QIT) in 1965 when it was established to meet the growing needs of industry. While still an institute of technology, QIT had a strong research and development profile as well as a record of effective teaching. The Queensland University of Technology (QUT) was created in January 1989 by redesignation of the Queensland Institute of Technology. In May 1990, QUT amalgamated with the Brisbane College of Advanced Education (BCAE) which specialised in courses in arts, business, education and social sciences. The institution resulting from the amalgamation of BCAE with QUT retained the title Queensland University of Technology. Today, QUT has an enrolment of around 40,000 students. Its prime concerns are the quality of its teaching, the employability of its graduates and the application of its research for the benefit of the community.